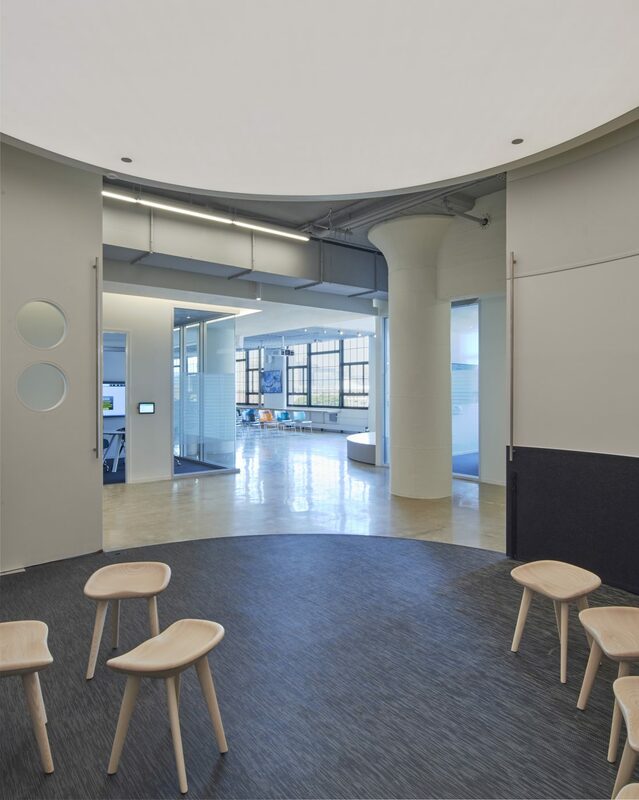 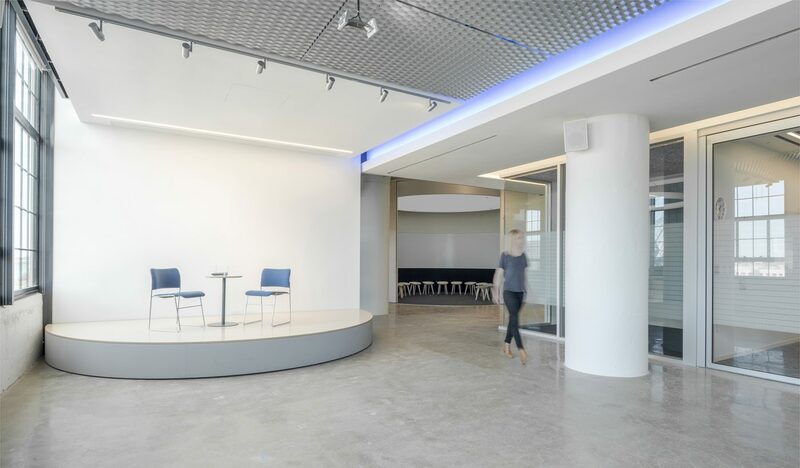 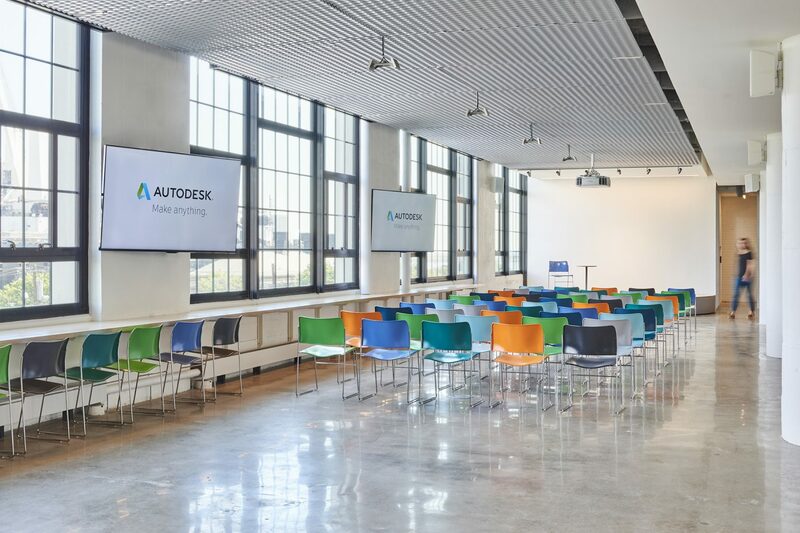 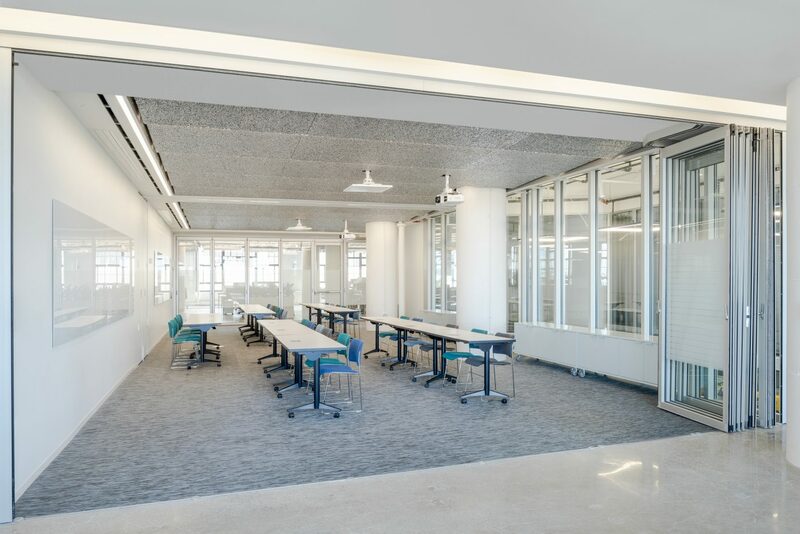 Utile completed an 18,000 square foot renovation for Autodesk Boston’s expansion in the Innovation & Design Building in South Boston. 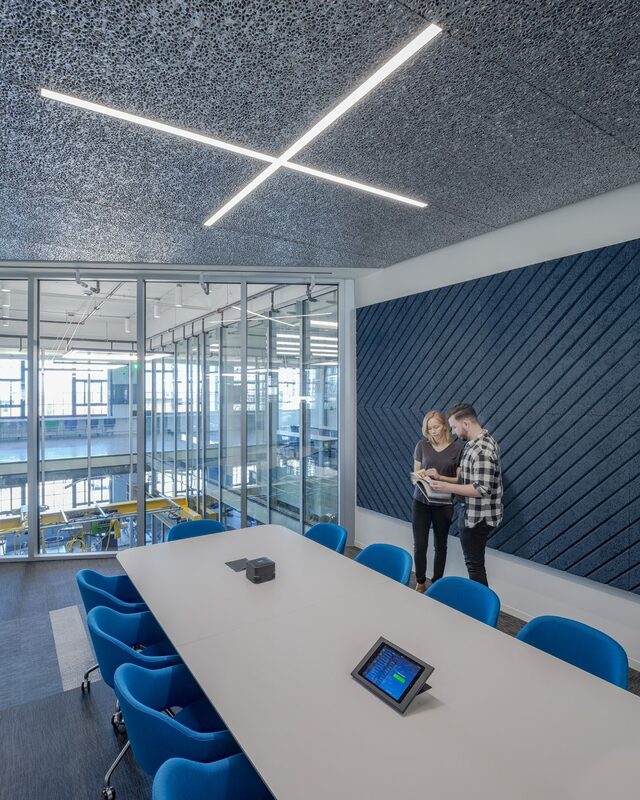 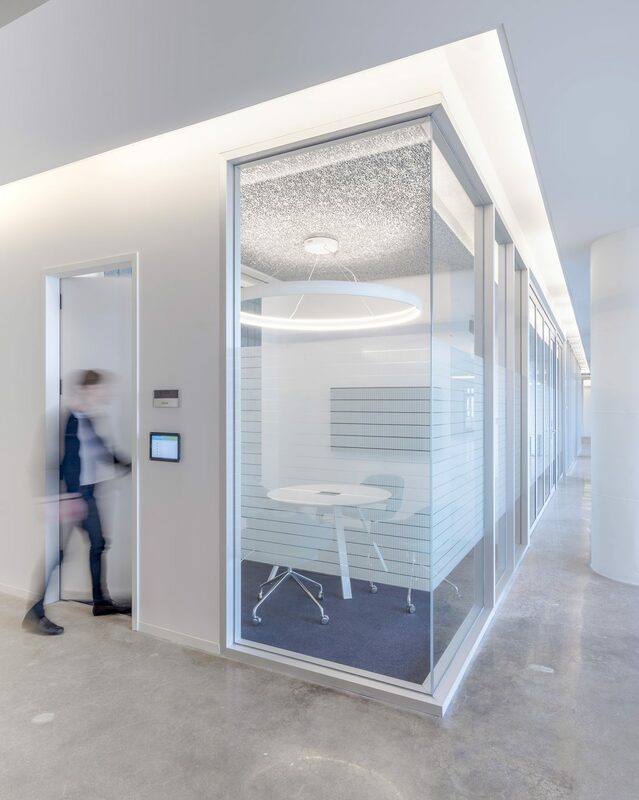 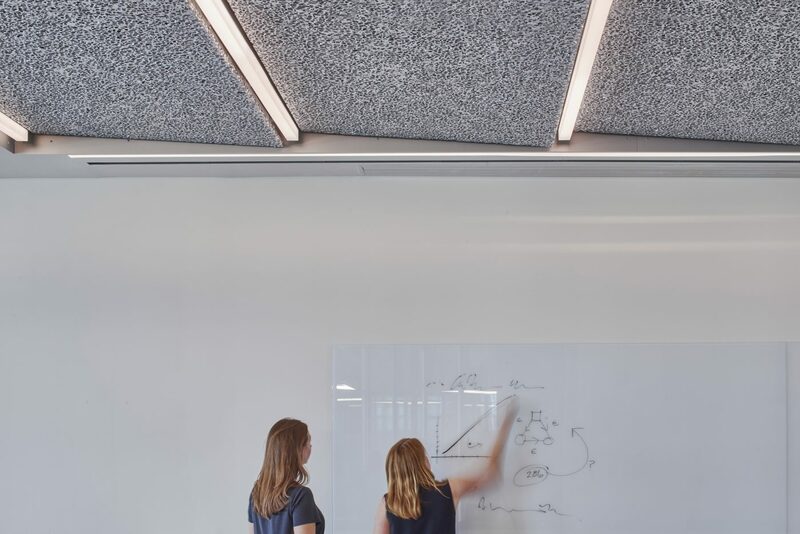 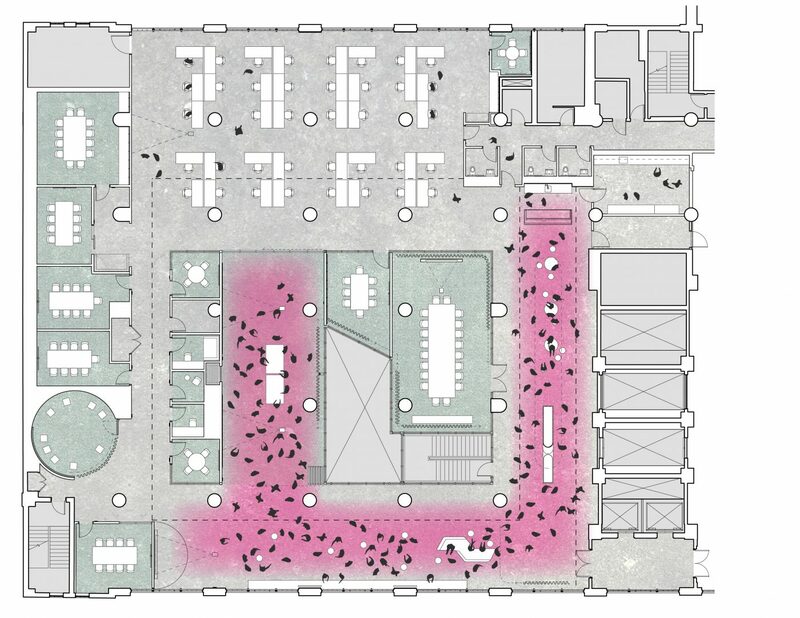 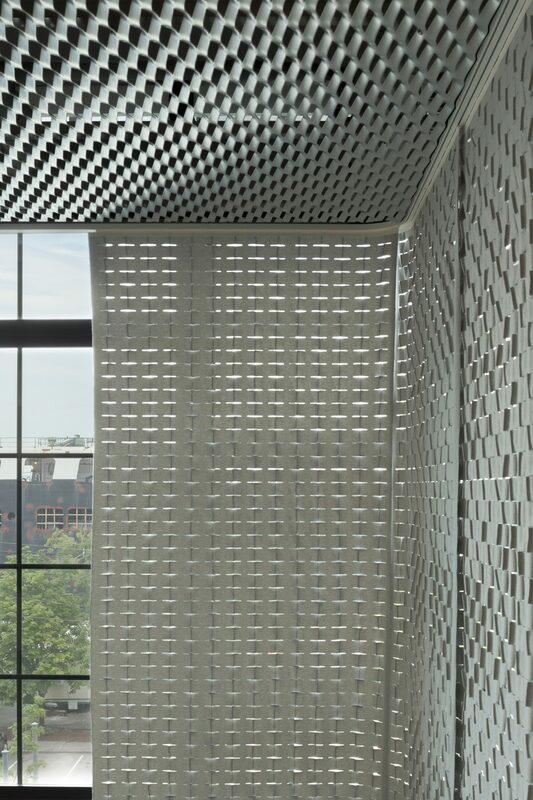 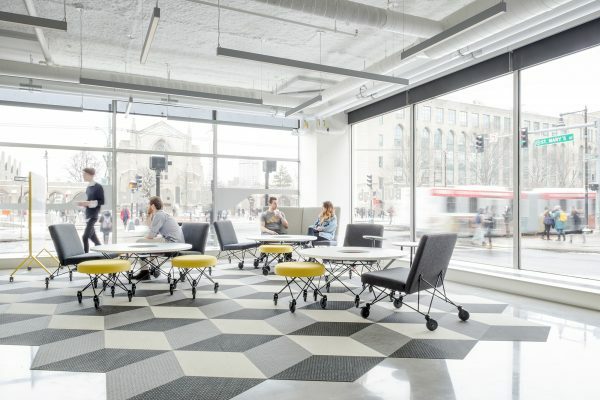 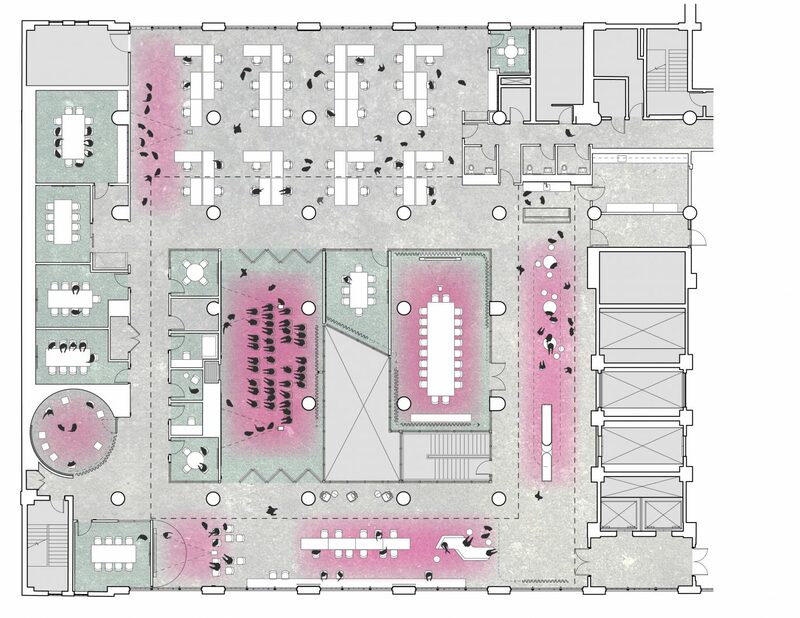 The design team’s goal was to maximize light and views through the deep floor plates and to provide Autodesk with a variety of flexible spaces to accommodate a wide array uses. 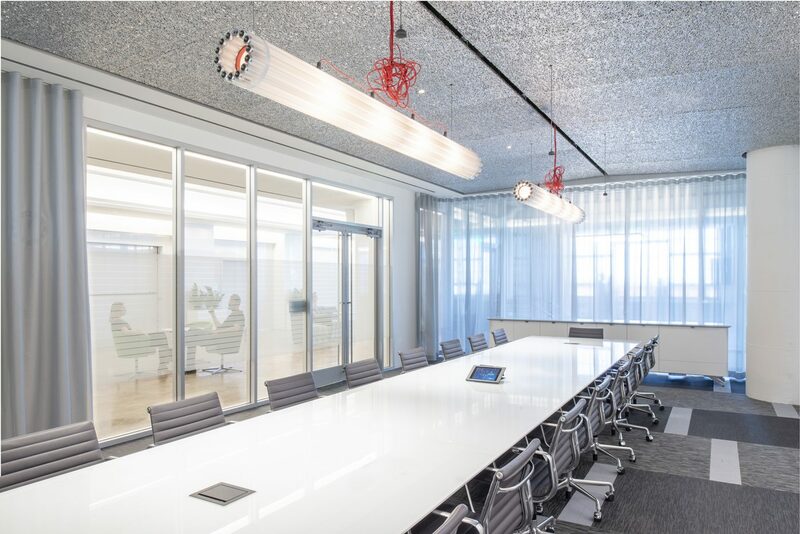 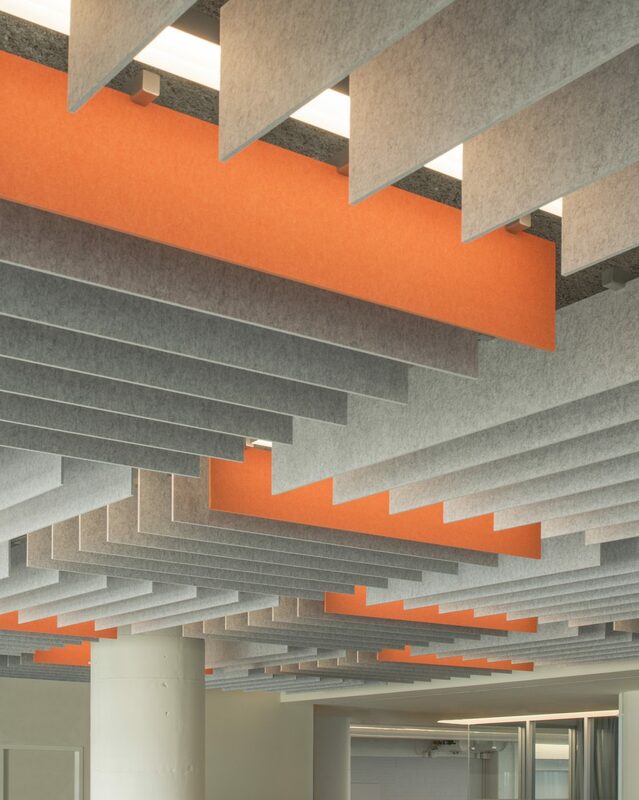 The plan centers around a “glassy core” of meeting rooms that maintains a visual connection north-south and into the buzzing BUILD space activity below, while providing the finely-tuned acoustic and audiovisual performance needs of a high-end executive briefing center and training room. 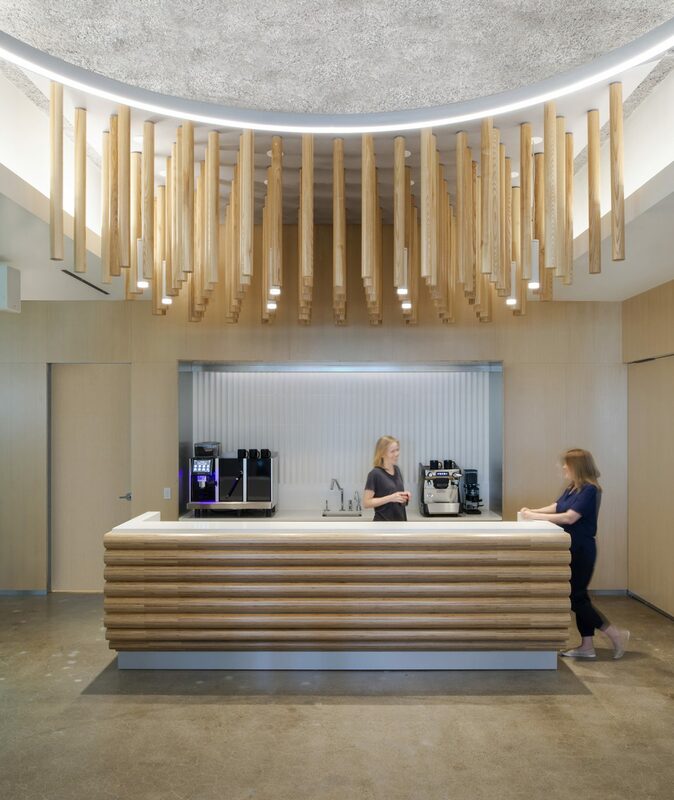 This core is surrounded by dynamic assembly spaces, including a signature round “kiva”. 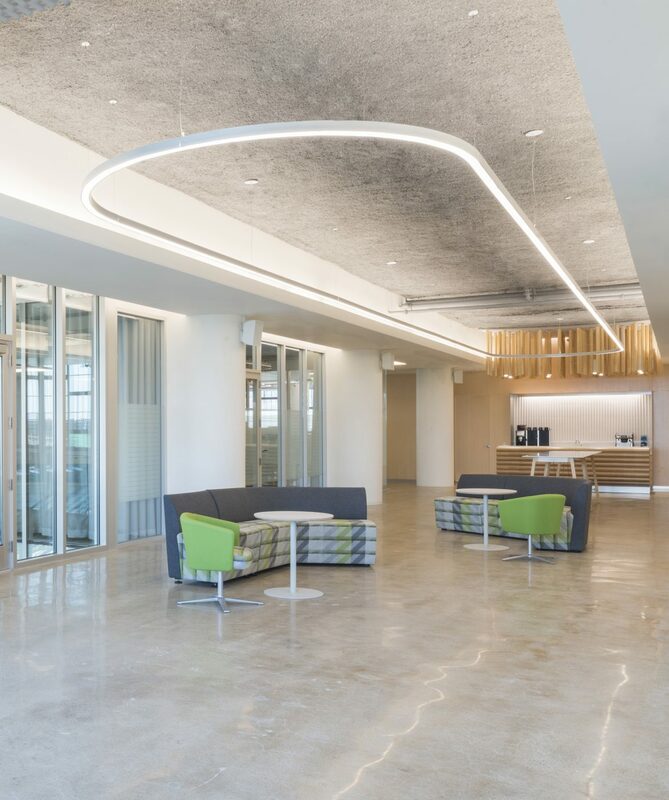 Utile worked closely with the BUILD team and contractor to utilize new BIM software and CNC metal stud fabrication to fine tune the relationship between heavy concrete structure, infill walls, and the systems within. 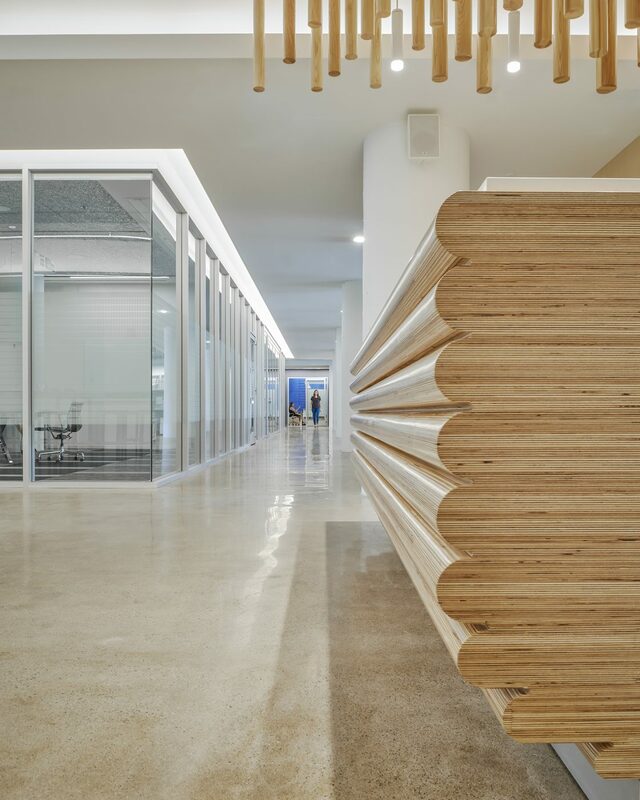 Photos by Ryan Maheu Photography.